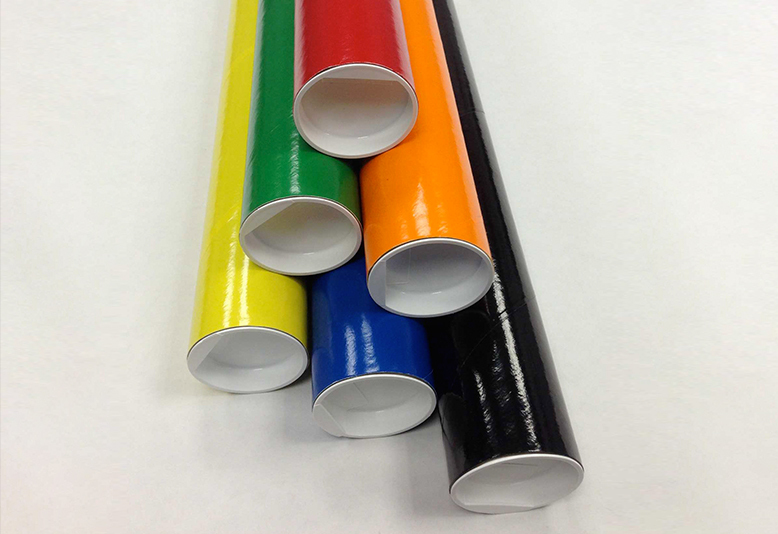 Buy 2" x 6" Colored Shipping Tubes | Chicago Mailing Tube Co. If you have posters, pictures, or oddly shaped objects that you need to ship, a shipping tube is the best way to store and transport those items. Chicago Mailing Tube Co. offers a wide range of shipping solutions for everyone. Whether you have industrial, business, or personal shipping needs, we have the perfect tubes for you. Additionally, our 2" x 6" colored shipping tubes can help you keep your items or orders separate and organized until you're ready to ship them. For example, if you ship a wide selection of movie and gaming posters to customers throughout the country, you can use a different colored tube for each poster type-use blue 2" x 6" color mailing tubes for action films and red 2" x 6" colored shipping tubes for romantic comedies. Each tube also comes with plastic ends to ensure that your rolled-up posters, wrapped items, or organized pictures stay inside the tube until the recipient opens the package. Prefer a hue different from the standard colors we offer? Let us know. We work with a qualified paper supplier to craft custom-colored shipping tubes. Tell us which custom color you'd like and we'll let you know the minimum tube order required for us to create these shipping containers. 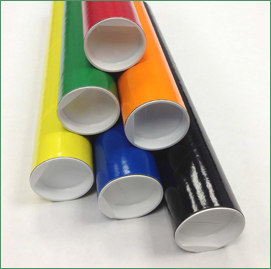 When you're ready to place an order for 2" x 6" colored mailing tubes, call us at (312) 243- 6050 or fill out our online form to get a quote on your next order.